 The Single Parents and Teens Foundation of Dallas (SPTFOD) evaluates and addresses the most pressing issues that families face in today’s complex environment. With over 4 suicide each month as a result of persistent campaigns of harassment and humiliation often aided by the internet and the false sense of anonymity and imperviousness that it provides bullying now tops our list of priorities to tackle in 2017. At the Single Parents and Teens Foundation, we are passionately committed to bringing awareness of the bullying epidemic plaguing our nation into school districts across the country. Our anti-bullying awareness assemblies are fully immersive, interactive events with nationally-recognized, award-winning performers. Our artists bring their blend of inspiring music to the stage, along with top-tier public speakers, to raise awareness of this epidemic in our schools.and bring with them their message of inclusivity, diversity, and hope. Our foundation also offers personalized services and help parents and children develop into well-rounded individuals who contribute to the welfare and wellbeing of their family, their community and their country. One of our most important goals is to lay the groundwork for at-risk children and adolescents so that they will develop a moral compass by which they can shape their future. Our services also includes providing scholarships for talented at risk youths in a variety of artistic domains, offering professional mentorship opportunities and creating a culture of collaboration, community conscientiousness and giving back. Our dedicated staff are committed to teens natural abilities and tapping into teens’ natural talents, so that they are able to use their special skills to gain self-confidence, define their personal goals and take steps toward responsible adulthood. Our mission is to ensure that each child who attends school in the United States has a safe, hate-free environment, to actualize their own deepest potentials in an atmosphere of inclusivity, diversity, and hope. We believe in equalizing the playing field between those who born into opportunity and those who were not, and in addition to our commitment to raising national awareness of the bulling epidemic, we also provide scholarships in the full spectrum of artistic education as well as a rich culture of personal and professional mentorship by industry heavy hitters in the areas of creative writing, marketing, choreography, acting, music theory, etc., with all classes taught on site and to give each of our scholarship recipients a sharp competitive advantage in the college application process. The Single Parents and Teens Foundation of Dallas offers the groundwork for at-risk adolescents to begin developing into mature, responsible members of the community one estimable act at a time.